Over the years of working with organizations, we’ve become convinced that packaged, episodic, push-style learning & change programs rarely create a lasting difference — for the participants or the business. Instead, we work with business and HR leaders at all levels to custom-design highly effective, scalable, self-sustaining strategies and implementations that naturally weave 10x growth, distributed leadership and change readiness into the fabric of everyday operations, making them part of the organization’s cultural DNA. We measure the success of our work in terms real and lasting business outcomes; everything we do is ultimately about helping build nimble, passionate, responsive organizations built to thrive in today’s volatile, hyper-competitive world. Mechanistic approaches to change invariably cost more than expected and rarely deliver the desired benefits. More importantly, the opportunity costs from inept organizational change efforts can be enormous. Not only are direct business benefits at risk, but the erosion of trust, energy, and creativity can become irreversible. With generative approaches you have to prepare the soil, plant the seeds, provide plenty of light and nutrients, and be patient. However, once you've grown the organization's capacity for generative learning and change, it keeps on growing—gradually becoming self-regulating, self-improving, and self-evolving. The true benefits keep appreciating while the true costs essentially disappear. 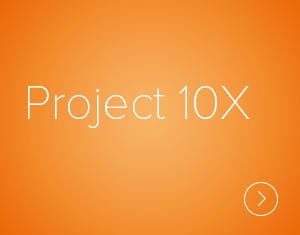 To understand how we apply generative approaches in our work, see Project 10X — our proven, highly scalable framework for growing those organizational capabilities most critical to leading and thriving in today’s volatile and hyper-competitive world.